I am a big fan of the gallery at the Queen's House in Greenwich. My enthusiasm stems as much from my passion for history as from my love of art. 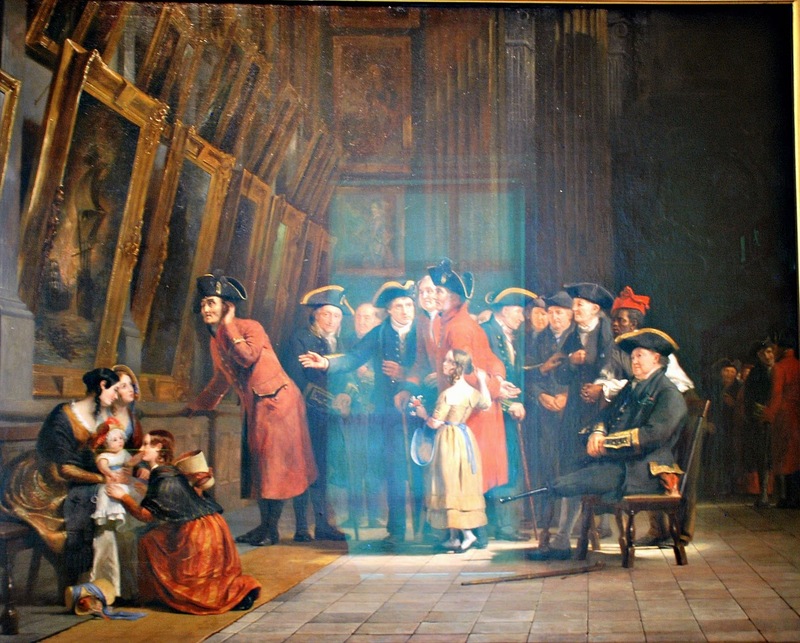 Most of the paintings exhibited there are not only pleasing to the eye, but are also of real historical interest. It's a gallery that's tailor-made for folk who take an interest in where we've been. And, just as an example of what I'm going on about, take a look at the painting above. 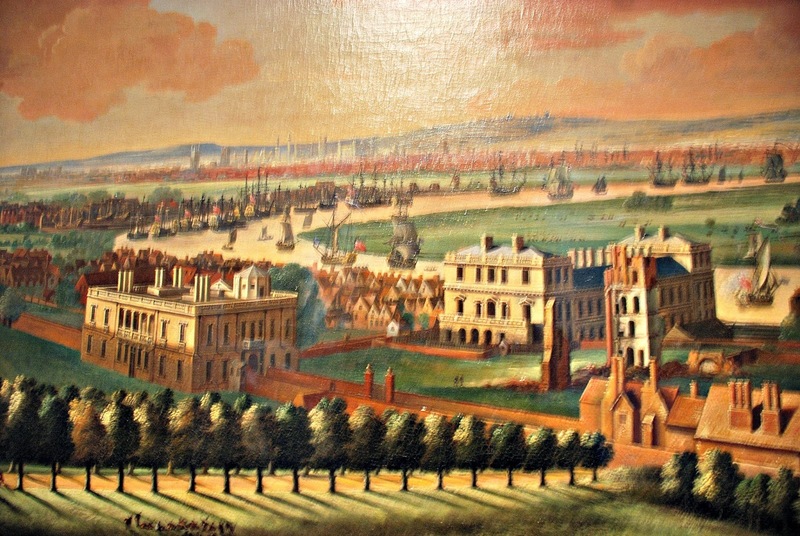 The large square building to the left of centre is the Queen's House as it was way back in about 1680 when old Johannes Vorsterman climbed all the way up One Tree Hill and knocked out his landscape. Immediately in front of it is the new Royal Observatory and part of the planned new King's House, rising out of the remains of the lost Tudor Palace of Placentia, where both Henry VIII and Elizabeth I were born. Further up the river a mass of shipping clusters round the busy dockyard at Deptford with the Stuart Royal Yachts moored further down the river towards Greenwich. It's a fascinating, compelling snapshot in time. And as a now for Vorsterman's then, the photo below is how the view from the front of the Queen's House looks today. There's nothing left of Henry VIII's great palace, other than a plaque on the ground to remind the tourists that this is where it once stood. Maybe I'm a bit weird, but I get a real thrill out of seeing its bones, courtesy of Vorsterman's paintbrush, before it disappeared forever. It's simple: paintings bring the past alive in a way that mere words on paper just can't match. 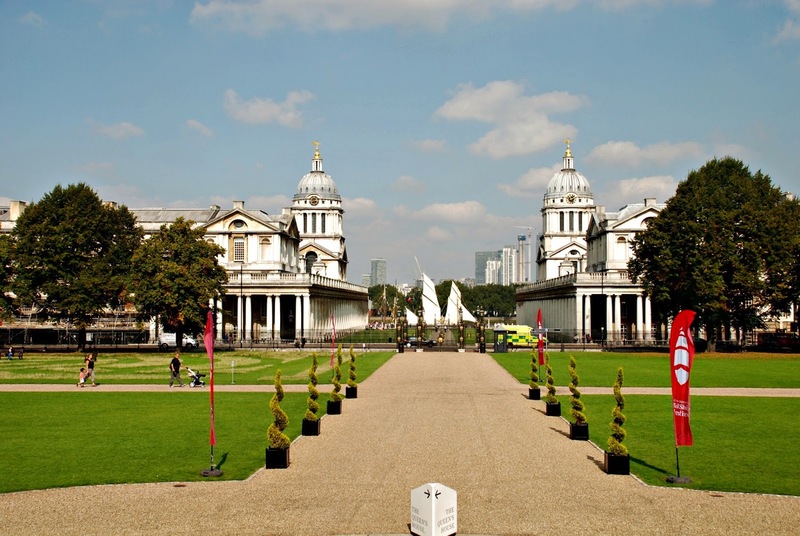 The nucleus of what's on display today was once the collection of the old National Gallery of Naval Art that belonged to the Royal Hospital for Seamen. 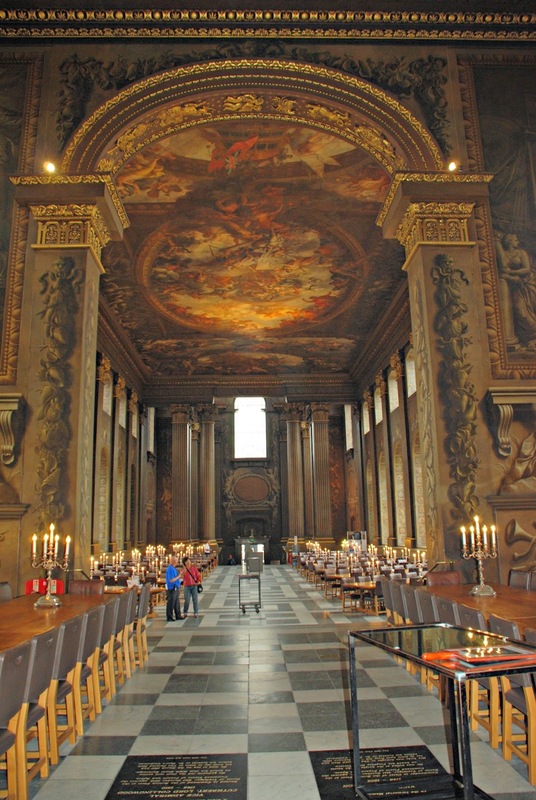 Founded in 1824 (before the National Gallery got going) they used to display the paintings in their amazing Painted Hall. The art in the Naval Gallery collection was all specifically chosen or commissioned to inspire patriotic pride in the Royal Navy: Rule Britannia, and all that. Way back then they understood exactly how a picture is worth a thousand words. George IV got in on the act, and donated some 30 naval portraits to kick-start the collection. And people came from far and near to see the Naval Gallery, for which privilege they donated money for the upkeep of the incapacitated seamen. A similar initiative also operated for the benefit of the orphans at the Foundling Hospital. And look! I've dug out an old painting (below) from 1845 (by Andrew Morton) showing how the pensioners used to enjoy their Naval Gallery. Let me explain what's going on: the Greenwich Pensioners (dressed soberly in black) are entertaining a group of their army chums, the Chelsea Pensioners, (dressed in flamboyant red). The Greenwich contingent are all campaign veterans who have seen service with Vice Admiral Nelson, and they're busy re-telling tales from their glory days, as old men are wont to do, pointing to the paintings to help explain the action. I love the curious old Chelsea chap who's gone right up close for a better view, but is cupping his ear and still listening carefully to make sure that he doesn't miss anything. 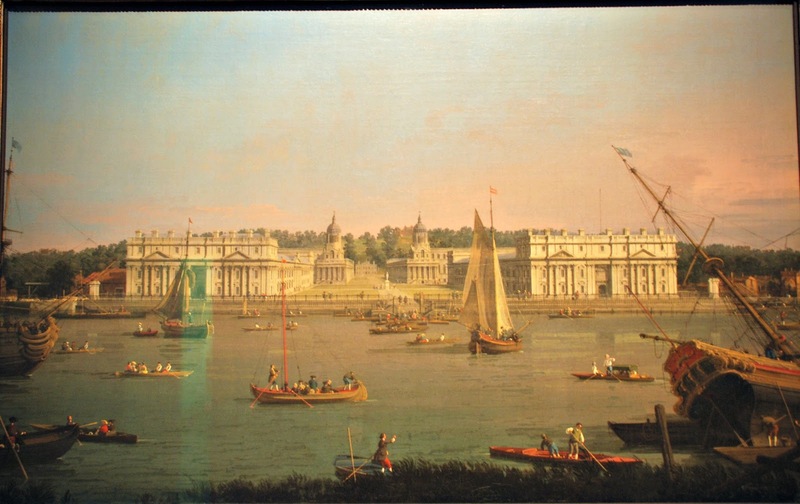 Among the many other gems that are on display in the permanent collection is Canaletto's view of the Royal Naval College from the North Bank of the Thames, which is where I tell everyone to go if they want to take really good shots of Maritime Greenwich today. It hasn't changed much, has it? And don't you agree that it's just a little bit thrilling to see the then and the now of it? Anyway let's get on to Captain Cook's gallery, where they've got a special exhibition on at the moment called the Art and Science of Exploration. 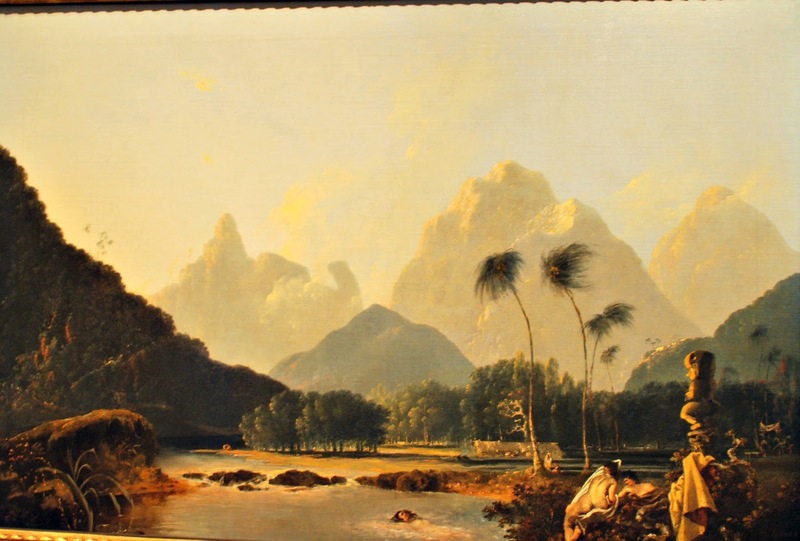 For the most part it comprises paintings made by the artists that he took along with him on his epic voyages to the ends of the earth back in the eighteenth century. He first set off in 1768 ostensibly with orders (and astronomers) to observe the transit of Venus from the Island of Tahiti, but with further secret orders from the Admiralty to then veer south and have a stab at finding new territory on which to plant the British flag. On this trip he found, named (as New South Wales) and claimed Australia for King George III. He also discovered New Zealand. In 1772 he was off again with the objective of mapping the Southern Ocean in a bid to find more new territories, circumnavigating the globe from West to East in his attempt to do so. He cruised along the Antarctic ice shelf on this trip, and went on to discover New Caledonia and the South Sandwich Islands as well as stopping off in New Zealand, Tonga and Easter Island. In 1776 he came out of retirement for his final voyage. Charged with the task of finding a North West Passage across continental America that would link the Atlantic and the Pacific, he spent six and a half months, cruising and mapping the coastline, but without finding the elusive passage. He was killed by the islanders of Hawaii on 14th February, 1779. The locals had thought he was a sea god, but when he'd limped back to their shores with a broken mast they started to doubt his divinity. Reports arrived of another local chief having been shot by the British and things turned nasty. Poor old Captain Cook was a member of a landing party trying to turn the situation around when he was knifed and clubbed to death by angry islanders, who believed that he was up to no good. When Captain Cook headed off on these epic voyages he brought a collection of experts along with him. There were naturalists to look out for new animals that no one had ever seen before, expert cartographers to draw up maps and charts to make sure that people could find their way back to where they'd been, botanists to study the plants and artists to paint anything and everything along the way. 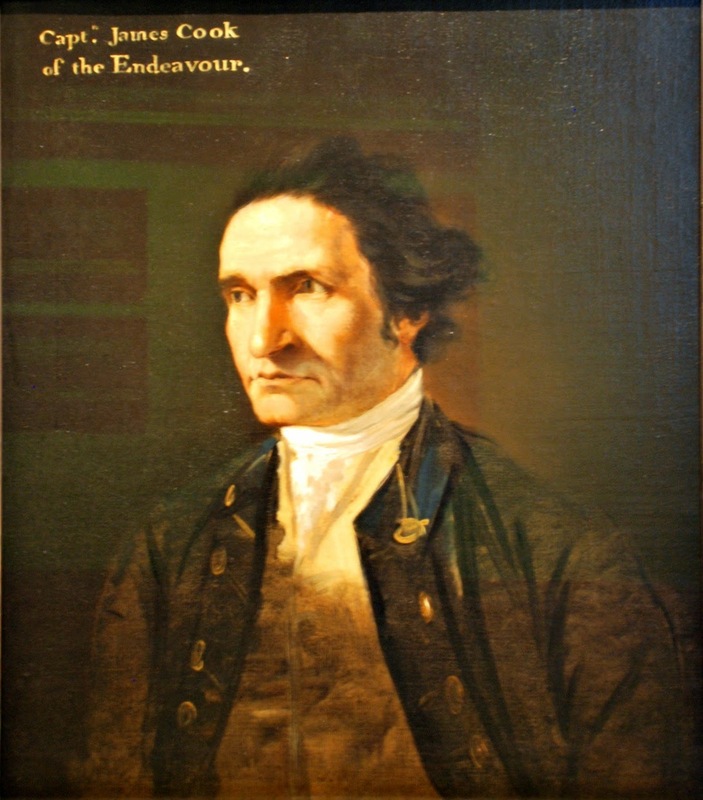 The artist who painted the portrait of the good captain up above was a chap called William Hodges, who came along for his second expedition. Many of the paintings in this little gallery are the work of his brush, and they give us a really fresh, first-hand view of the New World as it appeared to these early adventurers over two centuries ago. They'd arrived on Easter Island in March 1774, and were in awe of its amazing stone heads. An excited Hodges raced about, doing quick sketches and pencil drawings of what he saw. They only stayed for three days so he didn't have enough time to paint a formal landscape. This painting, the first by a European of Easter Island, was worked up from his sketches and observations on his return to England. At the time Cook's party assumed that the stone heads must have marked the burial places of important people. 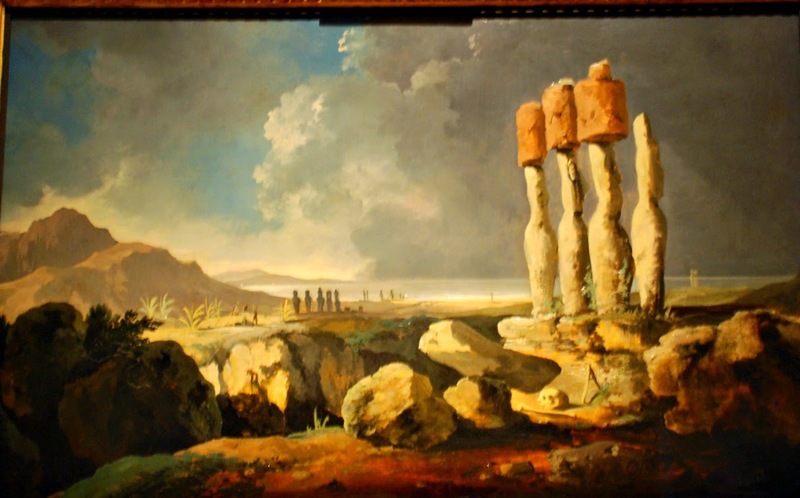 This influenced Hodges to paint in a scull in the foreground as a sort of European memento mori that the people back home would have understood as a comment on the transience of life, and, also, perhaps, as a comment on how the indigenous culture that had created the monuments had perished too. 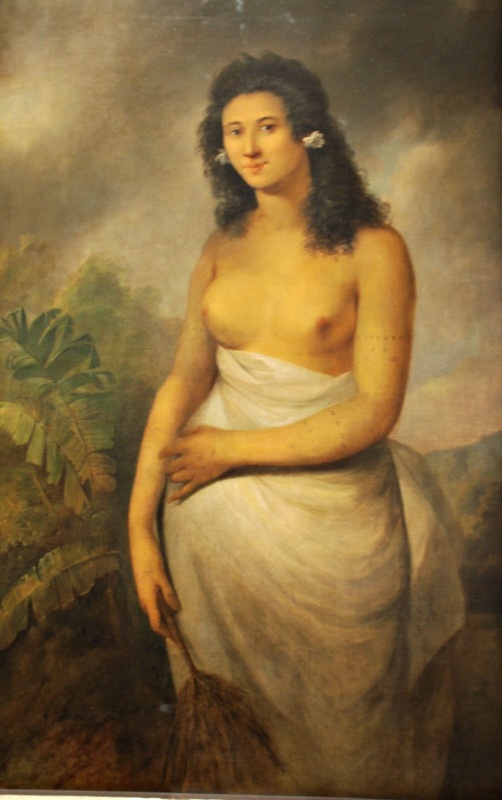 In any event, this is how John Webber, another artist, who served on Cook's third and final expedition, saw the very beautiful Poedua from the island of Ulietea (today known as Raiatea, the second largest of the Society Islands). Cook and his crew arrived on this heavenly island towards the end of 1777, just before they were due to head north on a gruelling journey towards the Arctic. Two of his crew were so enthusiastic about the place and its lovely ladies that they deserted. Undermanned and undermined by this breakdown in ship discipline Cook seized the local chief, Orio's, son and daughter, Ta-Eura and Poedua, and Poedua's husband, Moetua and held them hostage for the return of his crewmen. 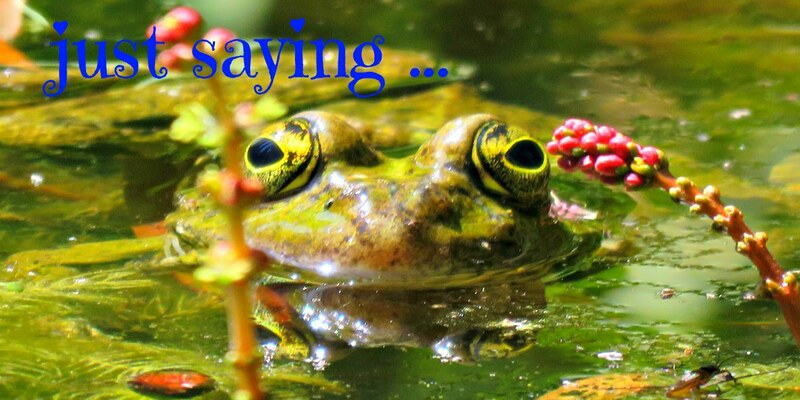 Within a day or two the local people saw to it that the scallywags who'd jumped ship returned and the lovely Poedua along with her brother and husband were freed. Webber made some sketches of her, from which he painted this portrait on his return to London, substituting some exotic foliage for the wooden panelling of the cabin in which it was painted. It was exhibited at the Royal Academy in 1785, and must have helped burnish the image of the sensual south sea maiden in the popular imagination. And this was the first glimpse that the people of Britain had of the kangaroo. 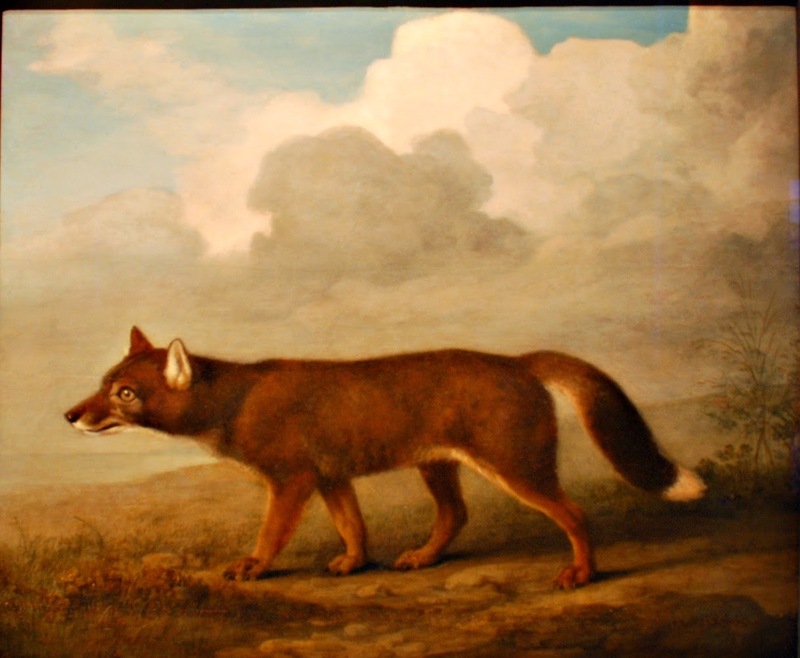 Personally I think it looks a bit more like a home-counties fox than a wild dingo dog from the Aussie Outback, but I'm sure he did his best with the material that he had to hand. All thing's told it's a great little exhibition, and gives a real feel for the novelty and excitement of Cook's epic voyages. If you'd like to visit and check it out for yourself you can find the details on the website here: the Queen's House. The Art & Science of Exploration carries on until July 2015, although I think they're going to remove the Stubbs paintings in January 2015. 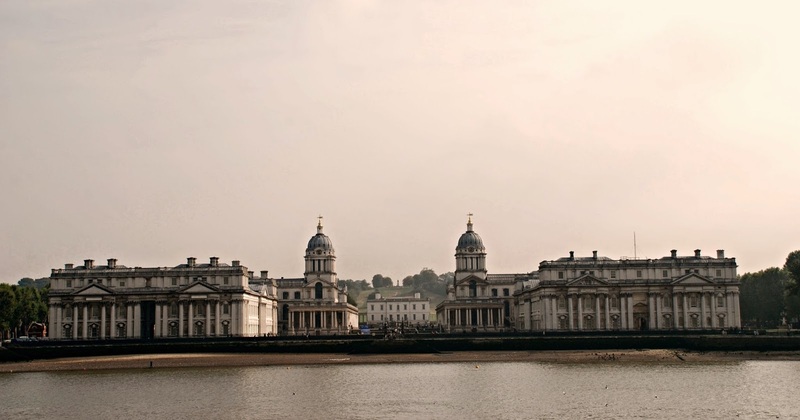 Well Greenwich certainly deserves another visit, thanks for your wonderful tour. 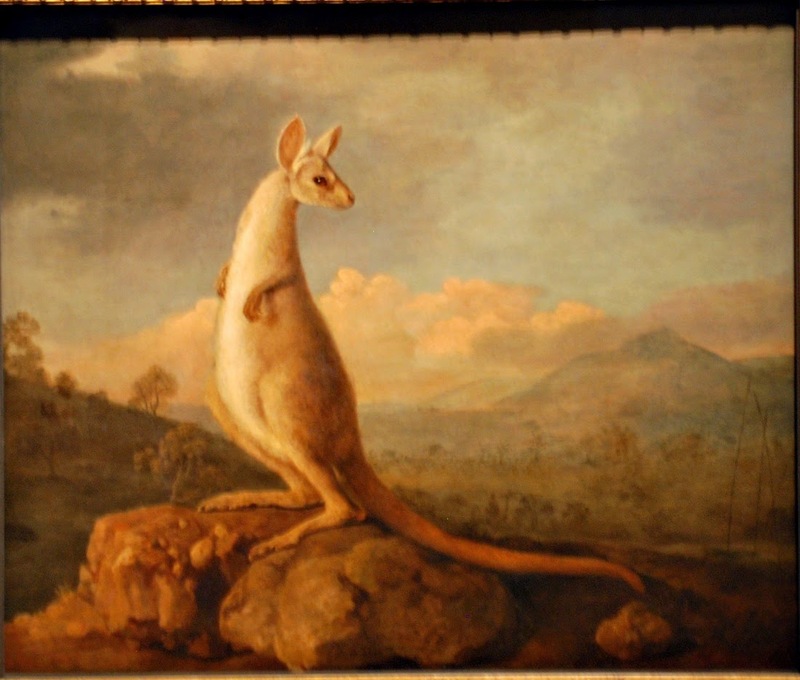 The paintings are so beautiful, I really like the white kangaroo and the dingo. Hubby would so love to visit England. We shall see. I loved this post! I am such a history fan and the past/present shot comparison is so cool! I always find it so sad that amazing historical buildings are no longer standing. What a pity to simply have a plaque instead. 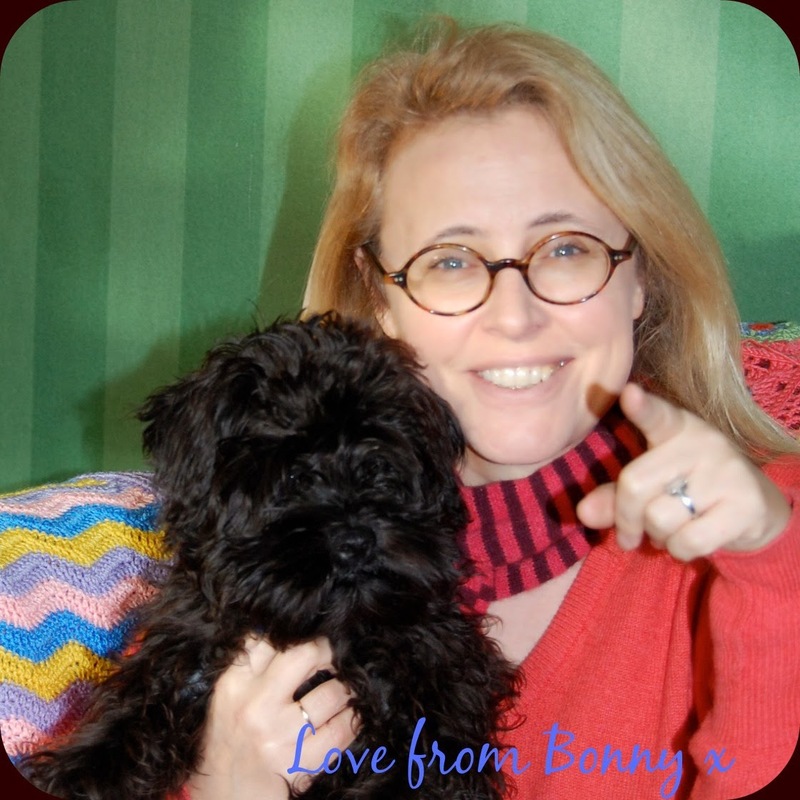 Thank you share so much for sharing at http://image-in-ing.blogspot.com/2014/10/success.html!